This entry was posted in Alcoholism, Memoir, Pop Culture, Recovery. Bookmark the permalink. 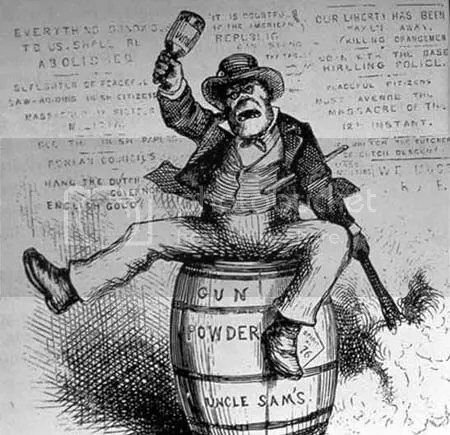 I object in the strongest terms to the expectation that you are expected to fight if you’re irish, that may be the case with Americans of Irish extraction but it is certainly not the case of Irish people. 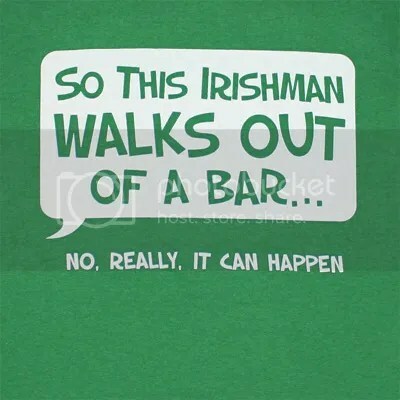 Oh, I’d say it’s definitely Irish American. Look at the movies that depict the “Irish Experience” in America. I agree with you. It’s a stereotype that is not based in reality. I had a good conversation with Michael Patrick MacDonald about the depiction of the Irish in America during the 19th Century. Look at the caricatures – the features are simian, they are depicted as violent and drunk. It is something that, sadly, has stuck and is almost celebrated. Interesting how the descendents of Irish immigrants that made good get tagged with the “two toilet” epithet. Why not the Italians that went from the North End to Middleton via Everett? Or the Jews that landed up in Sharon or Swampscott from Roxbury and Chelsea? Just the experiences of some friends and family of mine here in greater Boston. 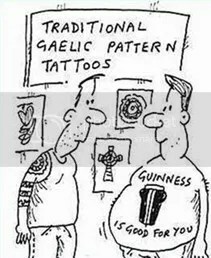 Forget the depictions of Irish and drinking and fighting associated with the Irish. If I had a mind to be I’d be offended but I just can’t get that worked up about it. My grandfather, who actually was Irish, was the most gentle, abstemious soul you could ever have met.